This was one of the best tours I have ever taken. Sergio planned the perfect route for us as he showed us the island as only a well informed local could. We went to places that a big bus could not go and had an awesome included lunch at a small local restaurant. So much better then Cruise ship excursions. Would highly recommend to others and would use again if I return. Thanks Sergio for the fantastic six hours we spent with you, you are number 1 in our book. Sergio was an excellent tour guide for us. Well spoke, and flexible in addressing our requests. Sergio was an excellent guide who clearly knew how to show his guests the best that Sao Miguel had to offer, despite the fact that the rain and fog decided to pay a visit on our tour day. Sergio was able to navigate around the weather to ensure that we had the best possible experience, including an authentic Azorean lunch in a cute little village. Sergio even helped us out the following day when we got lost trying to find the lookout for Lagoa do Fogo which we had to miss on our tour due to weather. Absolute amazing and authentic day on San Miguel! Sergio was an enthusiastic and informative guide. Lots of fun and very accommodating. We experienced so much of the island and learned so much. Plus the lunch at a family run restaurant was like visiting grandma - great food! We have traveled and toured much, but by far Sergio was one of the VERY best guides. He loves his home and you will too! What an amazing tour. Sergio was timely, informative and fun. Sergio knew the area so well and kept the tour fun. Lunch was so yummy and he anticipated all our needs. I would highly recommend taking this tour and seeing the sights. We loved every minute and were amazed at the beauty of the island. I hope to visit again and if I do Sergio is my first call. Sergio was a wonderful guide! We not only saw the beautiful countryside, but many out of the way places as well. Lunch was a delicious (and authentic) buffet of traditional Portuguese dishes. Two of us aren't very adventurous eaters, but we found plenty to enjoy! Be sure to try the surprise dessert! Thanks so much, Sergio! Sergio was the perfect host. Born and raised in the Azores, he knows his islands like only a true native could. We spent a wonderful day seeing stunningly beautiful scenery, eating a delicious Azorean lunch, and enjoying Sergio's company. 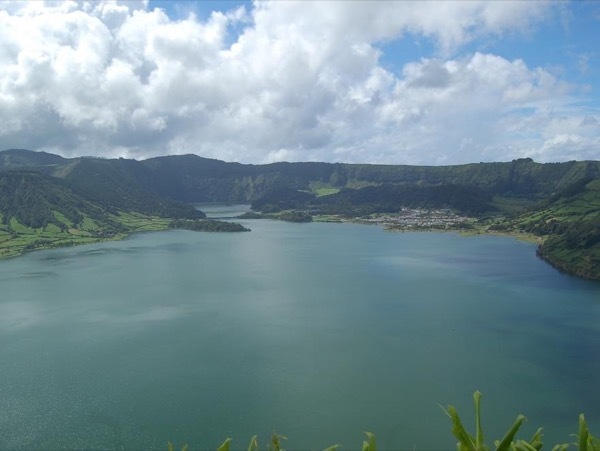 We fell in love with the beauty of the Azores, and can't wait to visit again for longer than a day!